In 1664, Galway City which was known as the City of the Tribes, was enjoying peace and calm. Catholics worshipped in St Nicholas's Collegiate Church. There were many religious orders in Galway. Outside the walls of the city the Dominican priests had their priory in the Claddagh, which was then a tiny fishing village. They built a beautiful church, which was known as St Mary's on the Hill. Many of the wealthy tribes of Galway supported them. In that year, a group of women who prayed and worshipped in St Mary's came together and decided to devote their lives to God. They recieved spiritual guidance from the Dominican Fathers, and followed the rule of St. Dominic. It was from here that the first community of Dominican nuns in Ireland was started! For some years the sisters had a tranquil, peaceful existance, praying and caring for the poor. In 1647, they rejoiced when the Papal Nuncio, Rinnuccini, came to visit them and announced that their monastary was recognised in Rome. But then disaster struck! 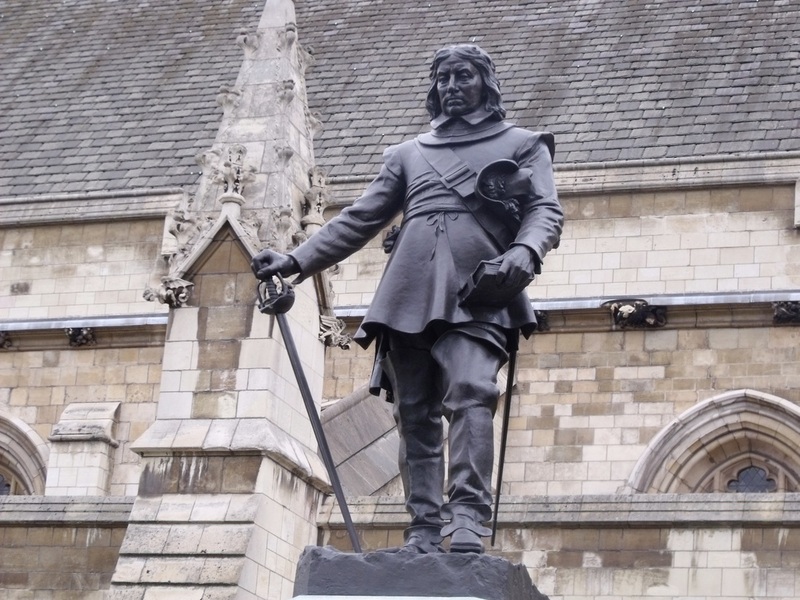 Cromwell and his soldiers rampaged throughout the country, killing and plundering the Irish people. The Dominican Fathers advised the nuns to prepare to flee. At first, the fourteen nuns who were in the convent tried to hold out and to support their people. However, when Cromwell's soldiers captured Galway City their lives were in danger and they had to go. And so, sadly, in 1652 they left to seek refuge in various monastaries in Spain. The nuns stayed on in Spain, working and praying in the various monastaries throught the country. However they had never forgotten their beloved Galway, and so, after more than thirty years, in 1686, two of them, Sr Julian Nolan and Sr Mary Lynch decided to return. This was a brave decision. Julian was 75 years old and Mary 61. They discovered, to their delight, that the people of Galway had not forgotten them. The Mayor, John Kirwin gave them a stone cottage in Kirwins Lane. They set about starting up their community again. Several young girls from the town joined them. They had several peaceful years, but then, alas, their troubles started again. In 1691 the Traty of Limerick was signed, and Irish Catholics enjoyed relative peace, but over the next few years their conditions got harsher and harsher. Finally, in May 1698, all Catholic bishops, priests, monks and religious were banished from the country. This posed a real problem for the prioress of the Dominican Order, Julian Lynch. She was 87 years old now and had not got the strength for another exile. When their convent in Kirwins Lane was invaded by the soldiers, she was devastated. This time, she thought her beloved community could not survive. Once again the Dominican priests came to their aid. They advised them to stay in Galway. They scattered about the town and stayed with friends. They wore lay clothes and went about their work quietly. By 1702, they were able to regroup again. They rented another house in Kirwins Lane amd started an illegal "Popish" school. The two houses became known as the Slate Nunnery. They pretended to be a group of dressmakers, teaching sewing and embroidery and doing good work for the poor. These were hard times for them. Their houses were often searched by the soldiers for any signs of "Popery". As the years passed, more and more young girls were attracted to the Dominican way of live, and joined the community in Kirwins Lane. Eight of the Galway sisters moved to Dublin. Six of them stayed there and founded a convent in Fishers Lane. The other two went on to Brussels to start a convent there. They later returned to found a convent in Drogheda. Many years later a group of Galway sisters set out for Argentina and founded a convent there. From humble beginnings in Kirwins Lane in 1644, Galway sisters have brought their Dominican message all over the world! In spite of the many hardships that the nuns suffered, the convent in Kirwins Lane flourished. Kirwins Lane was then a very busy street. There was a theatre close by, and it was often a noisy place at night. It was not suitable for the quiet life of prayer and meditation that the nuns lived. When fire broke out in the nunnery in 1842, they decided to look for a new home. They bought a house called Seaview in Taylor's Hill. It had some land around it and they started a small farm there. On the Farm the nuns kept cows and sheep. They grew their own vegetables and kept hens to supply them with eggs. They were away from the hustle and bustle of the city, and could persue their lives of prayer in peace. In 1845 Ireland was stricken by the Great Famine. When the potato crop failed the poor people were left without food because the potato was their staple diet. The People of Conemarra were in a terrible state. In desperation, the starving people took to the roads and headed towards the city, in hope of getting something to eat. Their road took them past the convent in Taylor's hill. They crowded around the door begging and pleading for help. The nuns never turned anyone away. They shared everything they had with the poor and destitute. Dominican sisters have a long proud association in Galway and have taught thousands of children in their schools throughout the years. 1859: The Dominican Sisters opened a Boarding School in the Gate Lodge. The subjects taught were: French, German, Italian but not Irish! Music, Astronomy and the Use of the Globe. The girls did not begin taking exams until 1897 because the nuns thought they would be too stressful for them! 1900: A fine new building was built for the school. which was very impressive. It was four storeys high, with a balcony around the top storey and was considered very modern at the time. 1932: The Dominican sisters opened a Montessori School. 1952: A new junior school was built. 1958: An extension to the Secondary school was built, which included Rosary Hall, a Science laboratory, a Home Economics kitchen and several new classrooms. 1975: The Boarding school was closed. 1976: Scoil Rois, the new Primary School was opened. 2007: The new secondary school was opened, to replace the old building. There are still two fine Dominican schools in Galway. Scoil Rois Primary School and Dominican College Secondary School. Even though there are no Dominican sisters teaching in the schools anymore, their ethos and spirit still lives on. The pupils in the Dominican schools proudly wear their uniforms with their "Veritas" crests, meaning "truth" which was the basis of all of St. Dominic's teaching. As long as there are Dominican schools, his teachings will not be forgotten.